Jessica Lynn - Crazy Idea. 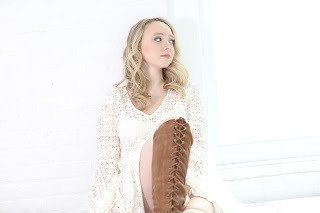 Background - Being hailed as “the New Woman in Country,” and “Shania's Successor,” Jessica Lynn is fast on her way to becoming a household name. In the last two years, the New York singer/songwriter has completed three highly successful nationwide tours of the United States and has seen her first two full length concert television specials, “This Much Fun – Live from the Winery at St. George,” and "Jessica Lynn - Takin' Over - Live from The Paramount " be met with rave reviews and seen by millions of viewers nationwide across America. 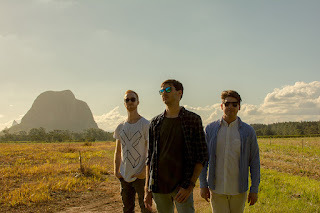 Background - Forming in late 2013 through a musician classified ad, the boys set out working on material after connecting on the love of shared influences. After a couple of years of gigging and rehearsing, a few singles, radio interviews and airplay, the band started working on their debut EP Saturate. Written, recorded and self produced over the course of 6 months, the EP was handed to multi-award winning producer Magoo for mixing duties and mastered by Matthew Gray. "The EP was recorded over the course of 6 months after long nights and days of pre-production and demoing. All songs were written around the same time frame except the first track ‘Bird' which was written two years prior,” says member Keelan Callaghan on the process of writing the EP. Featuring a track produced by Olly Liu and Taylor Pollock, “Volcano” is a pulsating and dreamy piece of electronic folk that describes the view from high above Hawaii’s ever-flowing lava. “Volcano” is the fourth single from Charleston’s forthcoming EP Enjoy the Ride (June 23). More information on Charleston is available on her official website. Gringa - I'ma Build a Home. 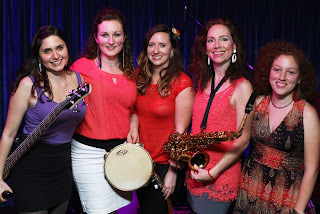 Background - It’s easy to fall in love with Brazilian music, and that passion sparked Gringa, the Bay Area quintet of non-Brazilian women who can’t resist experimenting with rhythms and instruments from the overwhelmingly musical country. Cheekily riffing off the Brazilian Portuguese term for a non-Brazilian gal for their name, the band takes everything from samba to forró, and crafts original songs that chronicle their lives. 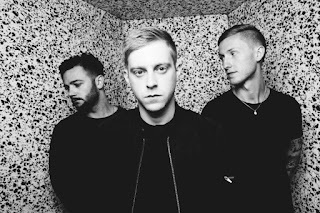 Background - London via Yorkshire band Flawes return with their first new recorded material since 2016’s ‘CTRL’ and ‘UNSPKN’ EPs created a feverish buzz around the trio. ‘Forever’, released last Friday (16th June) via Red Bull Records, is the first track from their upcoming EP, due for official release this Autumn. ‘Forever’ - produced by young, London producer Lostboy (Ella Eyre / Anne-Marie) - is a luxurious, electronic arrangement, brimming with the band’s uplifting synth lines, guitar motifs and underpinned by frontman Josh Carruther’s smooth, captivating vocals. Amelie No - Stranger Body. Background - Stranger Body (released Friday June 16th) is a song about resilience and adaptation. Recognising internal change is at once beautiful and terrifying; and although peace of mind may take time to obtain, acceptance of one’s own condition is the first step. Amelie No has been a part of Quebec City’s music scene for many years now. It all started when she was teenager, playing bass and singing in several punk rock bands in the provincial capital. 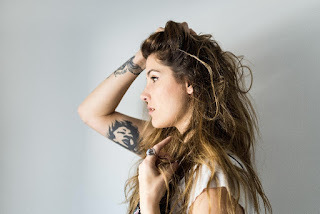 She eventually turned to a more soulful sound and her voice started making waves across Canada, the U.S. and Europe with folk-rock band I.No back in 2008. She became a household name last year after she sang her way into the semi-finals on the Quebec version of the hit TV show, The Voice. Her jazzy vocals are now set on new indie-pop music with R&B and soul accents. Facebook here, website here.